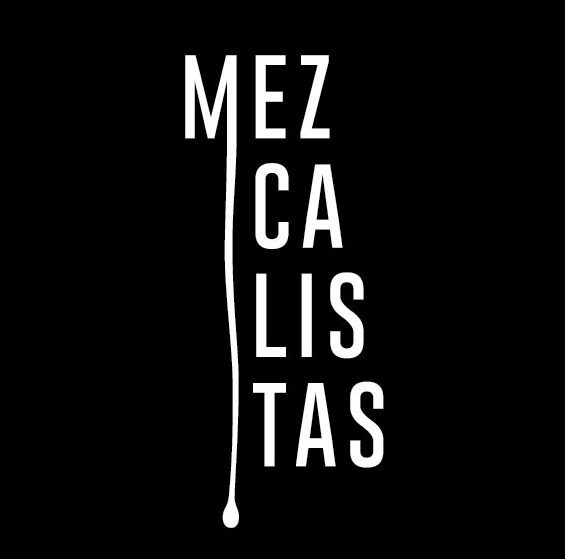 A few years ago I was introduced to Francisco Perez who was traveling through the US promoting an Ejutla, Oaxaca based mezcal cooperative, Integradora Comercial de Ejutla SA de CV ICESA, and its mezcal brand, Forever Oaxaca. 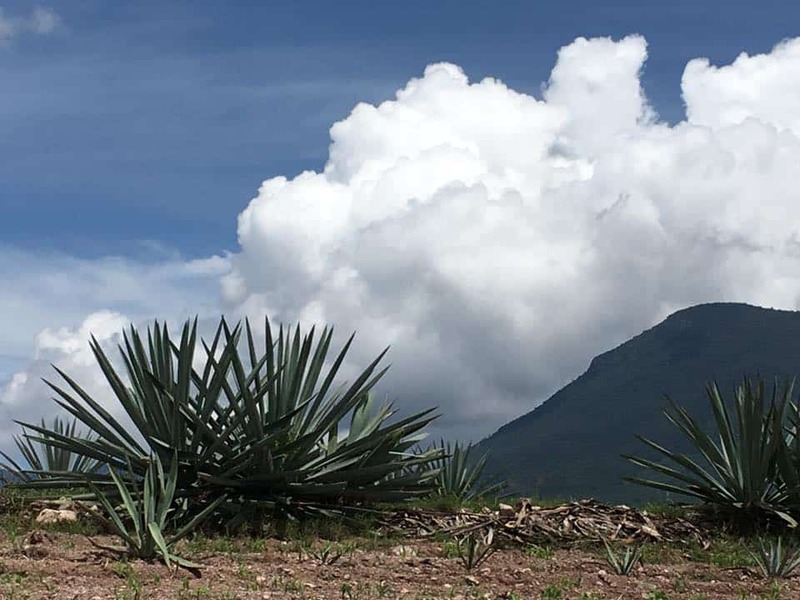 Our continued correspondence kept me abreast of the expanding cooperative, their changing branding (now Siempre Oaxaca with a focus on small production mezcals), and the addition of new lines including Banhez and El Ejuteco. 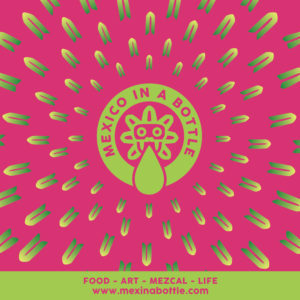 Max and I were lucky enough to celebrate Christmas in San Miguel Ejutla last year, which we tried to capture here. Perez was kind enough to put together an excursion for me to get out and meet some of the cooperative members and learn more about the project. 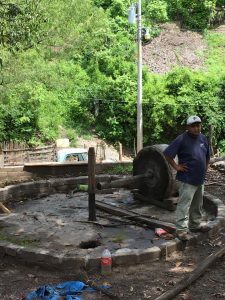 That was no small feat because he is currently in the midst of organizing the Feria del Mezcal in Oaxaca and it really takes time to get to some the communities in the cooperative; they’re remote and right now during the rainy season roads are washed away, swollen rivers make crossings difficult, and you can always get stuck in the mud. Thank god for trucks with stick shifts. 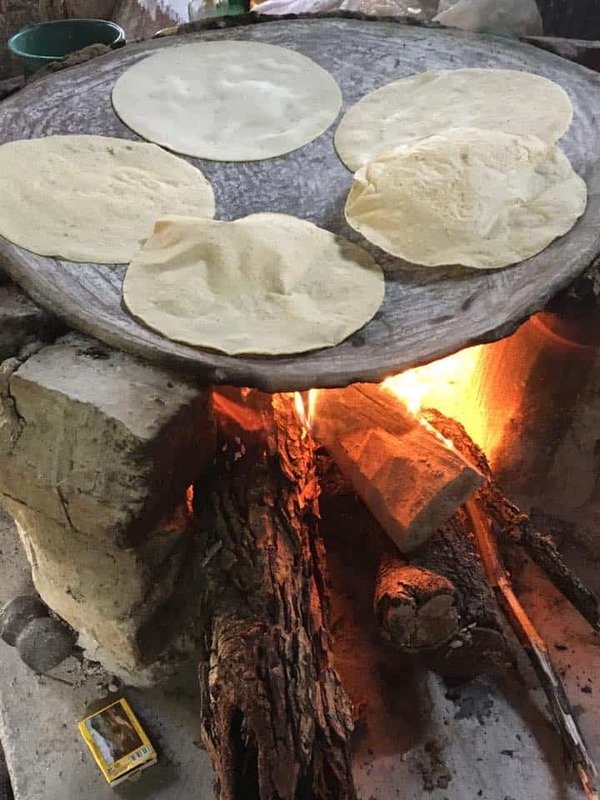 I always say every time I come to Oaxaca, I learn something new. 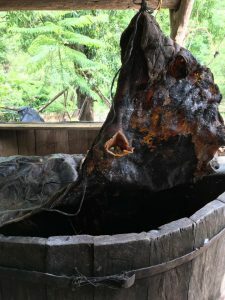 On this trip it was about the unique single distillation process traditional to the Ejutla region. There is no mixing of puntas and colas to get to the preferred proof. A special kind of copper distillation system is used which incorporates a series of “plates” that create almost a second distillation within the process. While that process gives the local mezcal its own flavor there is also a tradition of allowing mold to grow on the cut piñas both before and after the roast, imparting an almost herbal quality. Perez has a big vision for the cooperative. Currently there are about 40 palenques involved, with a goal eventually of 70. It has been a process to bring palenqueros on board, to get them to understand the strength of cooperatives and how it could help them. There is a checkered past in the success of these kinds of ventures, with money often lining the pockets of a select few. 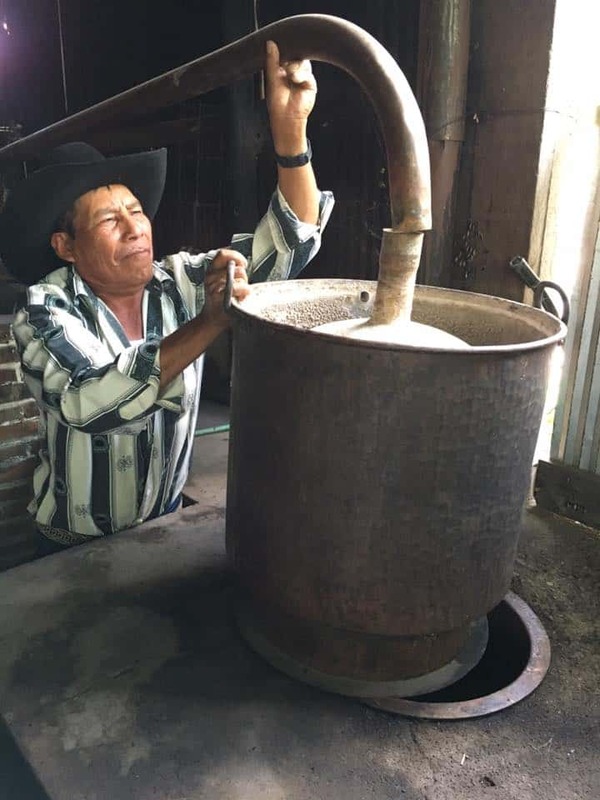 Perez has structured the cooperative in such a way that not only is pricing set for the mezcal (90-100 pesos per liter to the maker – that’s roughly $5-$6US per liter at current exchange rates) but mezcaleros also share 5% of profits. The cooperative itself owns the labels that come out of the entity and revenues go back into the cooperative in the form of still upgrades, certification, agave registration, etc for the palenqueros. There are plans for the Banhez brand to be a serious volume competitor. Currently its largest market is in Chicago, and it is making inroads elsewhere. 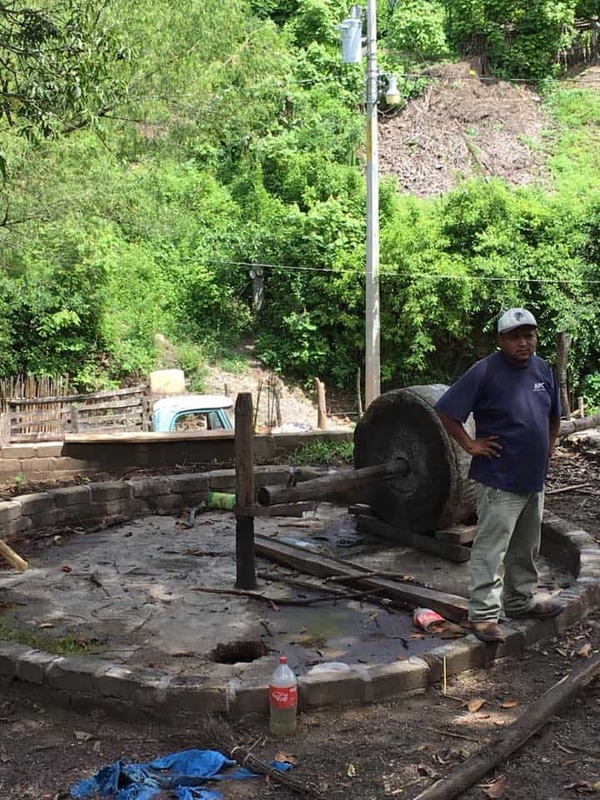 In concept, the cooperative model is probably the best way for small producers to gain access to a larger market and still be able to maintain more control in their ownership stake and plans. As an ex-president of the municipality, it is clear that Perez has a passion for local economic opportunities. 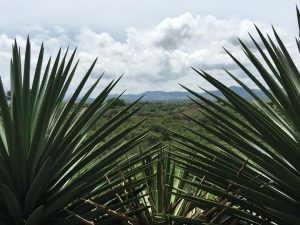 We first arrived in San Miguel Ejutla to see Perez’s palenque and the big cooperative facility for storage, bottling, packing, and shipping. There are plans to create a large tasting room that will showcase all the mezcals and the mezcal makers in the cooperative. 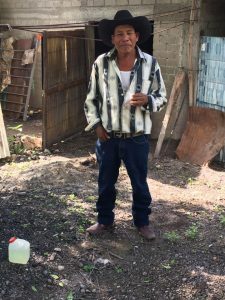 It was also where we transferred cars, moving to a very utilitarian pick up truck, and added Sergio Hernandez, son of maestro mezcalero Felipe Hernandez of Salinas de Ejutla. Our first stop was in Yogana, a lovely hill town set just above a river. We met up with Juan Rojas, a young mezcal maker, who greeted us on his burro and then took us to a palenque he is hoping to work out of. It was in a bit of disrepair due to recent rains. 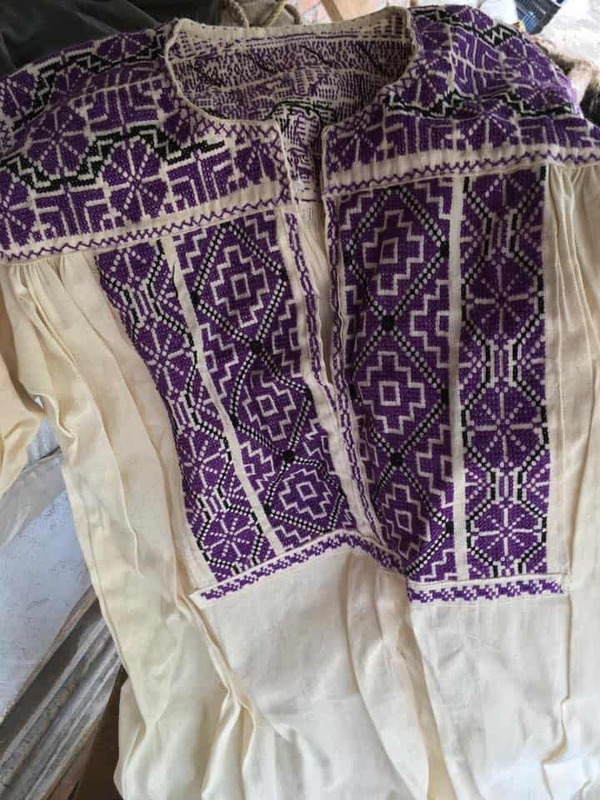 The owner of the palenque was hesitant to work with the young man, though negotiations continue. Perez said if this wouldn’t work out they were looking to see if there might be another palenque he could use. 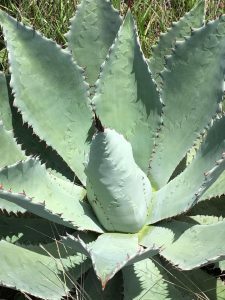 The real treat was going up to his agave fields, which are part of the communal land holdings, to see what he had planted. There were huge and gorgeous bicuixes and mixed rows of espadin planted to be harvested over the next 15 years or so. There was also tobala and some madrecuixe mixed in. 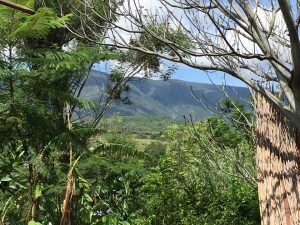 The other palenqueros we were with were very impressed by the magueys and eager to work with him. When it’s dry, the trip from Yogana to San Vicente Coatlan would have been easier, but the rains had washed out the direct road meaning we had to drive around to Miahuatlan, and then go from there. 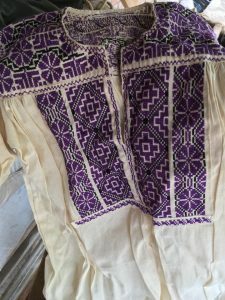 The pueblo is known for both its mezcal and bordado (embroidery) work. It is mind boggling to imagine how people get there and back when you are traversing the roads during the rainy season. 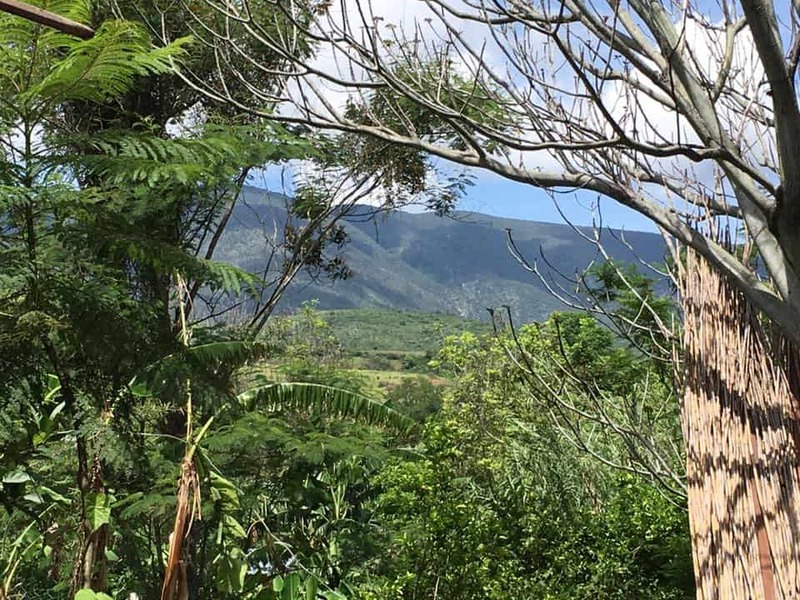 Essentials like gas, purified water, building supplies, food, and medicine have to be transported on rutted roads marked by stretches of mud, landslides, and arroyo crossings. 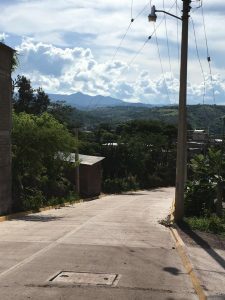 After about a half hour of rough terrain, the dirt road suddenly gives way to pavement and then it is clear sailing into the town nestled among the steep hills and a narrow pass that in the Appalachia we would call a gap. Zapoteco is the primary language, Spanish the second. There is currently a territorial dispute with Sola de Vega and there have been several assaults and murders in the area. For anyone thinking of doing treks like this on their own, don’t. Perez had made arrangements ahead of time, the village knew we were coming, and we were with other locals. Any problems would have been noted. We arrived at the house of Santiago Hernandez and were greeted by him and his family. 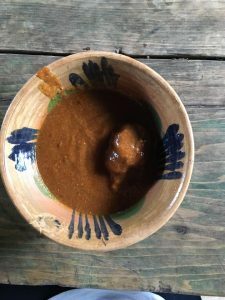 After talking and tasting his mezcal, we moved into the kitchen where we were served a delicious mole amarillo with the freshest tortillas imaginable (we heard the grinder going while we talked mezcal outside.) It is always disconcerting and difficult for me to be served by women during these visits. They do not eat with us, nor do they sit with us as conversation ensues. They linger just outside the door, waiting to be called, and of course listening carefully to the conversation. I want to jump in and help make the tortillas, to help serve, and then clean up, but I can’t because I am there to speak with the men. It is an incredibly strange situation of machismo coupled with the privilege I enjoy as a foreign female. There is a lot of talk in the industry about how brands give back to the communities where they distill. You see pledges of donations on bottles, hear about them in presentations, and conversations all the time. I’m sure that many of these are honest but when you are in places like San Vicente, where there are about 20 mezcal makers who sell not only to the cooperative but also to other brands, it is challenging to figure out what that donation could look like. 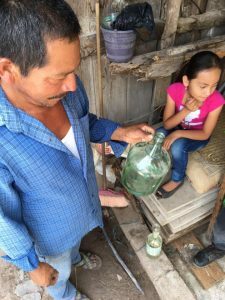 Talk to the mezcal makers and they will say that they need new equipment and palenque upgrades, but mostly a fair price for their mezcal. When I ask what kind of projects or support should be priorities, everyone always says the same things – education and health. In these remote towns there are health centers but they may not have staff on duty and there is definitely a lack of basic medical supplies. 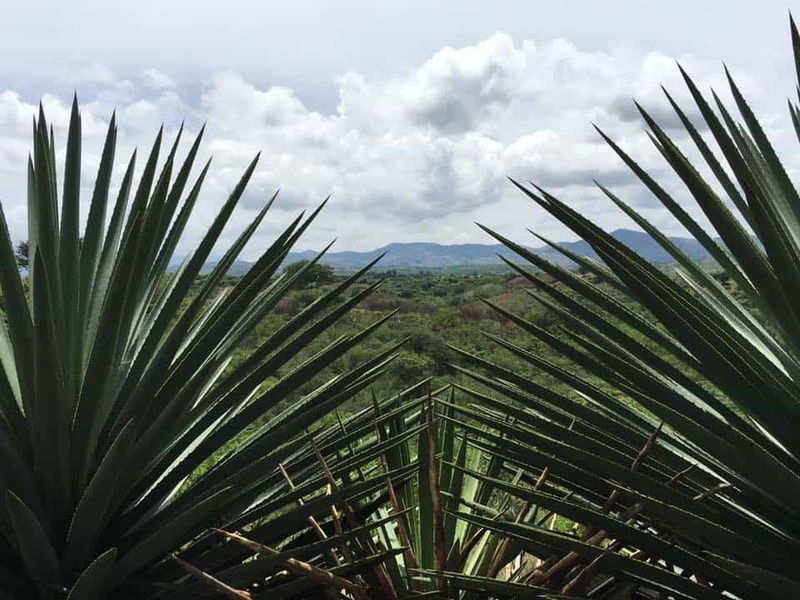 Educational opportunities remain challenging all over Oaxaca – tackling that issue is more than any single brand can take on. But I look around the kitchen we are sitting in, it contains a wood fired stove that has blackened the wood ceiling because there’s a lack of ventilation, and I wonder if projects couldn’t be even more basic. Women and children spend hours in the kitchen, inhaling all that smoke which, of course, leads to respiratory problems. What about simple projects like putting in flumes or more efficient wood burning ovens with exhaust vents? We like to think big but occasionally you have to start at ground level first. We leave Hernandez’s house to visit the palenque of Marciano Martinez Antonio up the hill. I get to see up close how different the distillation process is. During the rainy season no one is distilling so it’s also an opportunity to pull the still apart which is always an educational experience. 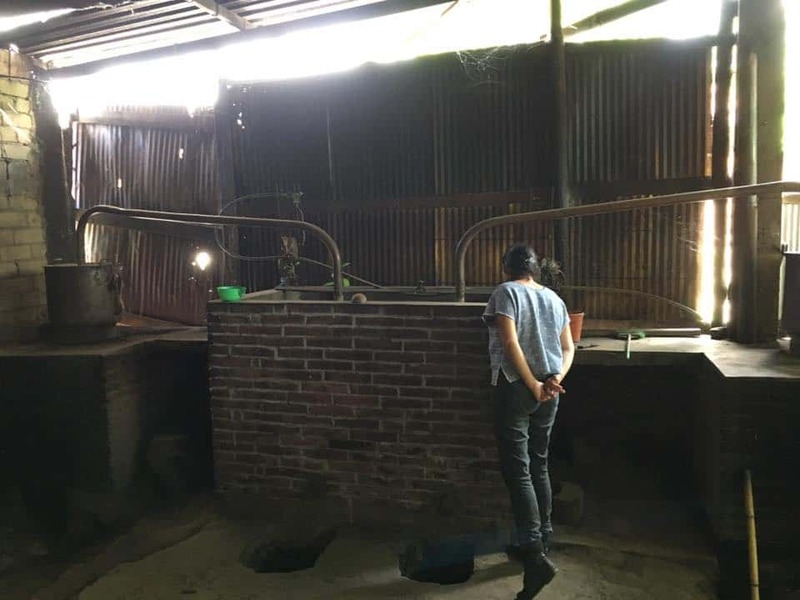 It’s a clean and well organized palenque with a cement floor and good ventilation. 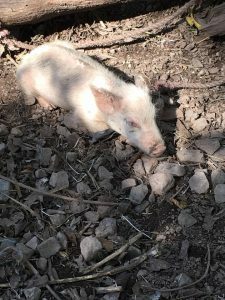 The family’s home is just next to it and the garden is full of turkeys, chickens, and pigs. From here, you can clearly see the infamous super highway to the coast being carved into the hill above. The government has been promising a fast road to the coast for years and it seems like they’ve been building it for even longer. Construction has been a very invasive process throughout these villages and when the freeway finally does open it will change life in all these small pueblos. I got to thinking that this is what a lot of the small towns in the United States may have looked like before highways entered the picture, let alone the post WWII interstates. But enough mental wandering: The sky is changing color and the day is getting old so my mind turns to the drive back through all those arroyos. If we get caught in the rain we may be stuck for a while. Since I have a teenager waiting for me back in Oaxaca I have to be a bit more cautious. Gone are those carefree days of traveling out into the country when staying overnight was just part of the trip. Now I have to make sure that I’m back in time for dinner! 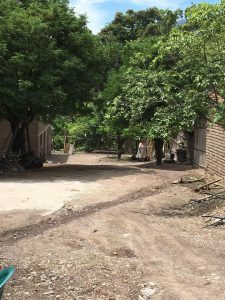 We stop again in San Miguel Ejutla, make the car transfer, and head back to Oaxaca. The conversation during the drive turns to a crazy story that Sergio told about his uncle who had four wives and 23 children. They all lived together, though several of the children were grown and had left home. His uncle was supposedly sitting on 100,ooo liters of mezcal, so no wonder he had four wives, he was quite a catch. 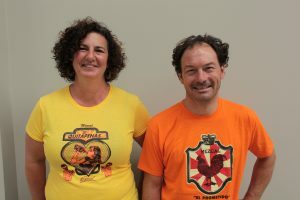 This is not an isolated story, and of course speaks to the culture of machismo that still dominates the region, and of course to the limited options for women. There is a bloqueo (blockade) as we near the city, the result of an ongoing dispute over land access and the city’s garbage dump. Trash has been accumulating in the city. A four lane highway is reduced to two lanes, with the thankful presence of the police to direct traffic safely to the other side of the highway to avoid the rocks and tree limbs that have been laid across the one side of the freeway. Traffic moves slowly and we see random groups of people listening to speeches alongside the road. It is dark and I see several men carrying machetes. Buildings had been burned the previous week as part of this dispute, there is an ominous feel to the whole scene. I text Isaiah to let him know we are late, to not worry, that I will be home soon.